Every October in Britain, we make a special effort to celebrate the contributions that people of African descent have made to British society, contributions so often ignored and excluded from dominant narratives. Across the campus there are different events, talk and exhibitions celebrating Black history month. Amongst these is the interactive exhibition ‘Black British Arts: Digital Exhibition’ curated by the Modern Records Centre (MRC) and on display in the library foyer. The exhibition allows you to flip through a series of digitized images and pull up information on black arts and artists featured in the photographs. The images form part of the Minority Arts Collection held at the MRC. In addition to photographs, the collection includes art journals, theatre programmes, exhibition catalogues and other publications on Black and ethnic minorities and the arts in Britain. The collection, like the images showcased in the digital exhibition, highlight the involvement of people of African ancestry in the formation and development of the arts in Britain. But beyond the surface, these images also speak to the struggle that many Black actors and artists have faced, as well as the ways these individuals and communities have worked to create change. Whether it’s the casting of Black characters in roles traditional reserved for white actors or photographs that challenge stereotypical imagery of everyday life in an Afro-Caribbean community in Birmingham, what becomes very clear is that art is not just entertainment. Art is political. The second of the MRC’s digital exhibitions will feature the African-American actor, singer, and socialist, Paul Robeson. 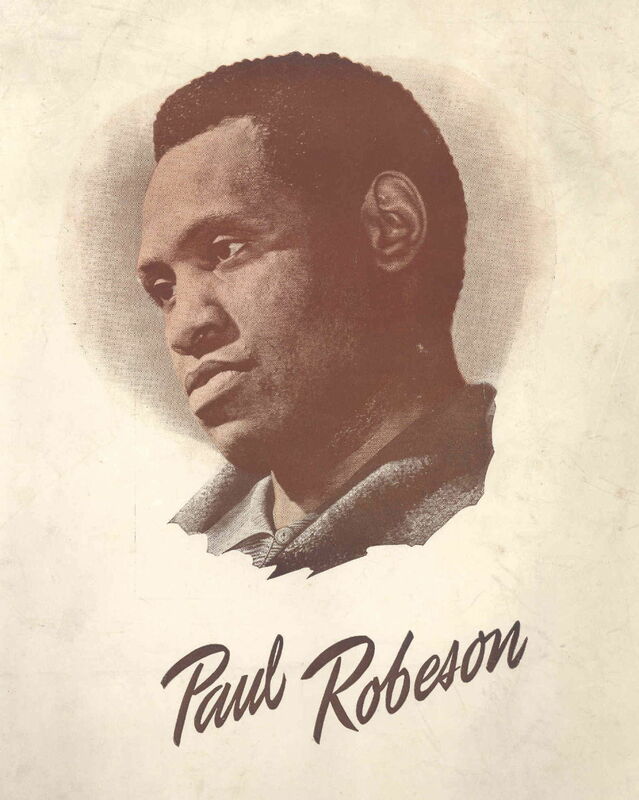 In the 1950s, in the midst of American McCarthyism and the ‘Red Scare’, Robeson was blacklisted as a communist and stripped of his passport and the right to leave the American mainland. While he challenged this infringement on his civil liberties in the American Supreme Courts, on the other side of the pond, a group of trade unionists, artists, and left-leaning activist in Britain organized and campaigned in support of Robeson. Part of this campaigning included the first ever transatlantic concert via telephone cable. The life and struggle of Paul Robeson and the British committee that worked to defend him is an important story on civil inequalities, the politics of art, and the power of protest. ‘Black British Arts: Digital Exhibition’ will run from 1 -15 October. ‘Let Robeson Sing!’ Exhibition will run from 17 October till the end of the month. We encourage you to take a look through the screen, featuring these digital exhibitions, which is located in the main library foyer (floor 1). We’ve also made some prints of these images, which are currently being displayed around our Learning Grids, as well as the PG Hub, REx and MRC. Keep an eye out for them! The Minority Arts Collection, reference CRER/MAA, and the archival documents on Paul Robeson are available for public consultation in the MRC, located next to the library. Take a look at their website for info on visiting the centre. 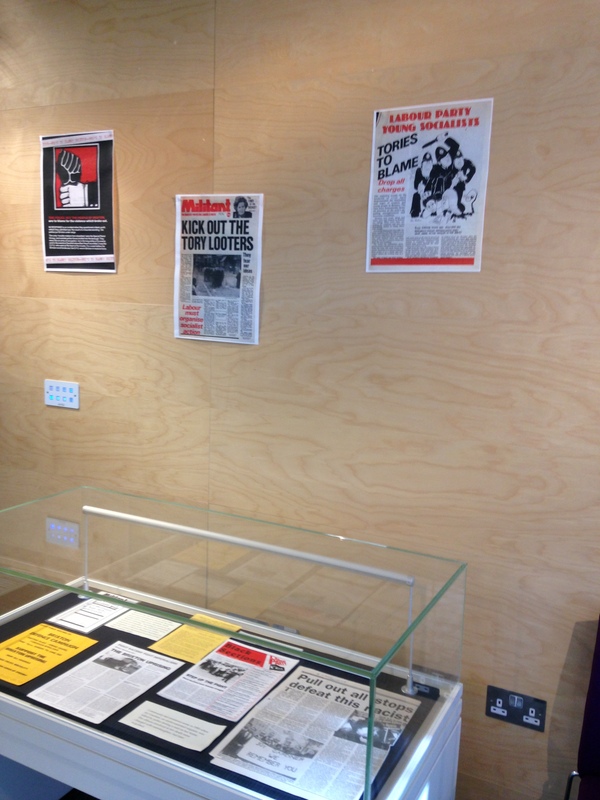 In addition to these exhibitions, the MRC has been working with the Warwick Anti-Racism Society to curate an archival and digital exhibition entitled, The Black British Working Class: Grounds of Resistance. This series of documents and images that make up this exhibition serve to highlight the challenges particular to Black working-class communities, as well as the intersectionality between race, class, but also gender. The exhibition will be on display throughout October so do pop into the centre, during working hours, to have a look. The MRC exhibition space is free and open to all. Let us know your thoughts on the digital exhibitions in the comments or tweet us @WarwickLibrary!